After all that organising and spring-cleaning, do you still feel that something is missing when you take a look at your home? Truly, what better time to do some touch-ups to your home than this upcoming Chinese New Year? The festive season gives you a golden opportunity to upgrade your interior concept, to give your home the look and style it truly needs. Read on to check out some of our laminates that you can consider incorporating in your home. Now these can be just for show to impress your guests. Their eyes will naturally land on these wood plank laminates when they enter your kitchen. Hunter Green Plank Wood (PG2920ST) laminates will be an interesting way to capture attention, especially when the rest of the room is of neutral colours. Besides adding dimension and scale to a small kitchen, the beautiful mismatched colours make them a cheerful addition to your home all year round. Here, white opens up the space visually. This makes the living room the perfect place to let other colours pop and for the festive season, red would be the most obvious colour choice. But when used excessively, it can appear overwhelming to the eye and be too much to handle. 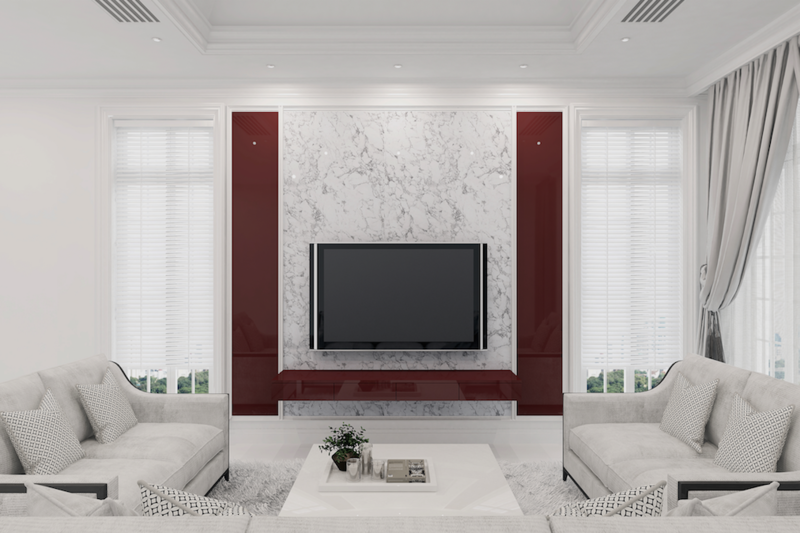 A bit of red goes a long way and these Hot Burgundy (ASG2158HG) laminates applied sparingly in selective spaces of the living room increases the energy of this quiet abode. In addition to colour, the charming addition of Cloudy Marble (PG2601HG) laminates lends an elegant beauty to the room. 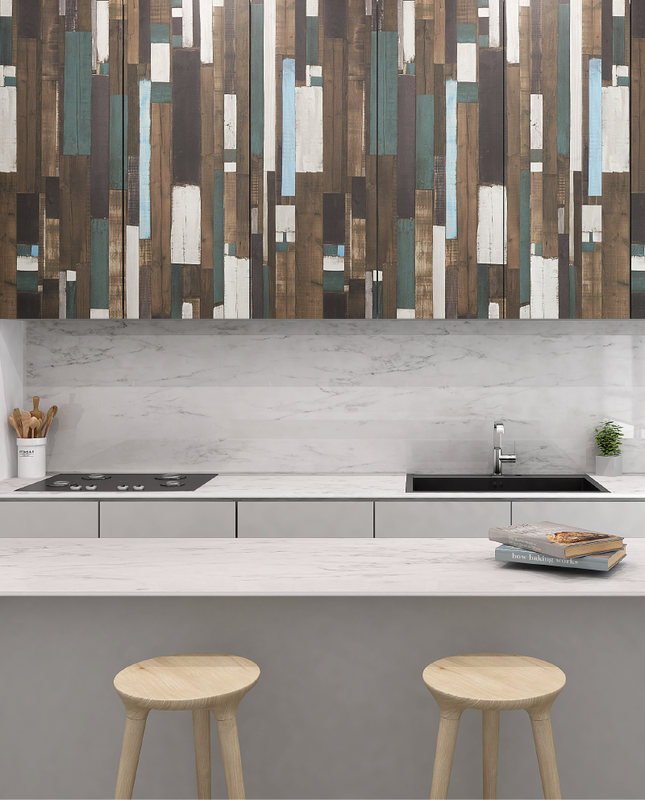 With its universal appeal, these marble laminates have a unique veining design that enhances a variety of interior styles, including this home design. This is a classic example of a balanced interior design. 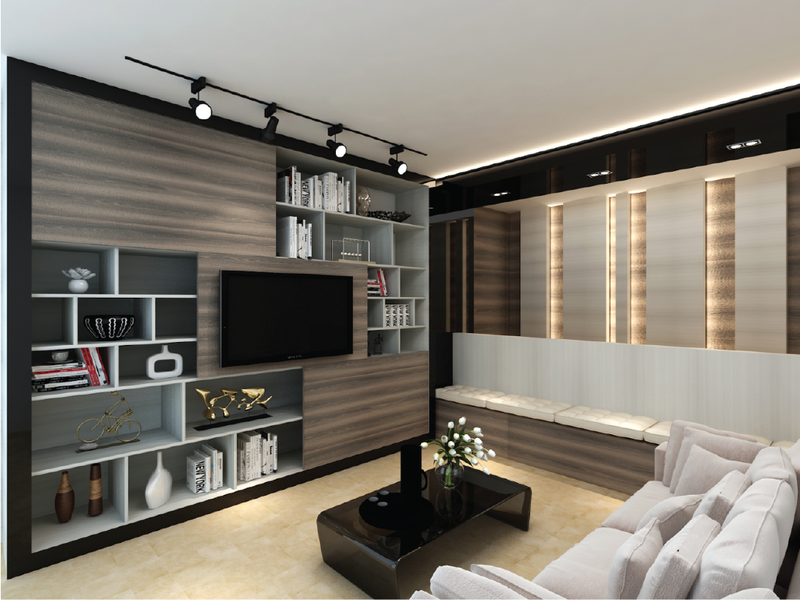 But if solid colours are not what you are looking for, wood is always a hot favourite in interior design. 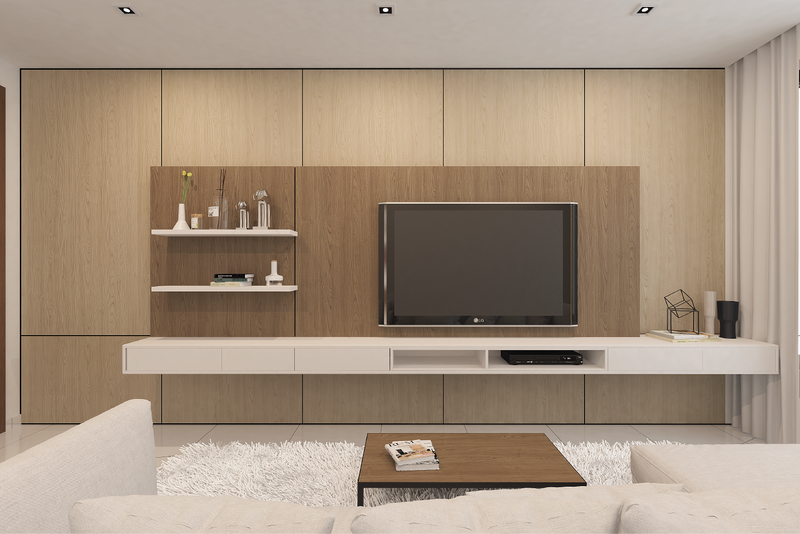 It is important to select the shade of wood laminates that matches well with the colour scheme of your home. Here, Ampero Brown (PQ8383SY) laminates blends perfectly with the neutral colour palette, adding a certain organic warmth to draw people into the space. 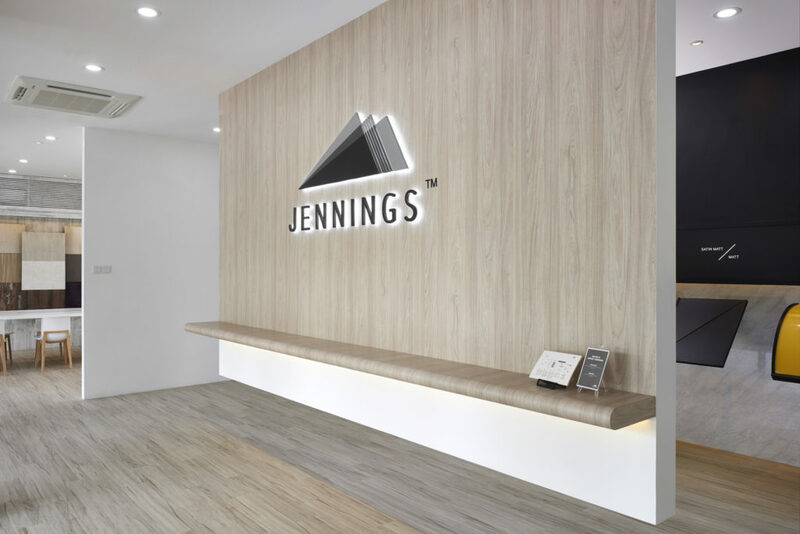 Using these synchronised wood laminates across the room also fills out the area evenly, working wonders in making it appear wider at a glance. If you are the one hosting your festive celebrations, making your friends and family feel most at home would be your utmost priority. The gorgeous wooden shades of the Light Lenox Oak (PG1441V) and Dark Lenox Oak (PG1991V) laminates will turn up the warmth of your home by a notch. Along with the perfect touch of rusticity, these laminates can add more warmth to modern decor. Especially if you are always the one in charge of gathering everyone at your place, the new look of your living room will certainly be a refreshing sight to see! This is the year for your home to shine! When you are feeling a little off the moment you step into your house, that’s probably because it still lacks a little something special. And if you are asking yourself what would look good in your home but cannot seem to find an answer, we can help in your decision-making process when you drop by our laminate gallery. Happy Chinese New Year to you and your family!